Prof. Bhavika Reddy is Assistant Professor in Entrepreneurship from April 2016. 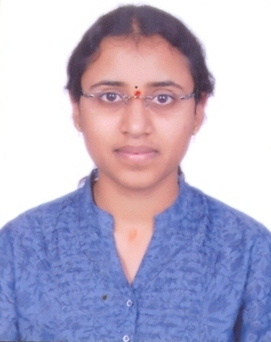 She is associated with IMT Hyderabad and IBS Hyderabad. From 2011 to 2017 she has developed about 23 management case studies published in reputed case repositories. The case studies developed are mostly in the areas of business strategy and entrepreneurship areas. “CERA India's Business Expansion Strategies” case study published in The Case Center with the reference No: 316-0189-1. “Britannia: In The Pursuit Of Old Glory” case study published in The Case Center with the reference No: 315-242-1. “Rio De Janeiro: Using Qr Codes To Spread Tourism” case study published in The Case Center with the reference No: 315-073-1. “Yahoo! Abolishes ‘work from home’: Reopens debate on Flexiwork” case study published in The Case Center with the reference No: 415-046-1. “Microsoft's acquisition of R2 studios” case study published in The Case Center with the reference No: 315-073-1. “Microsoft's failed acquisition of Aquantive” case study published in The Case Center with the reference No: 315-069-1. “Senator Keg: Diageo's answer to illicit brews in Kenya” case study published in The Case Center with the reference No: 314-167-1. ”Infosys Campus Connect: A solution to talent crunch challenge?” case study published in The Case Center with the reference No: 412-061-1.